Strange that Buffett, age 87, wrote his advice in all lower-caps. how millennial of him, i thought. Strange that Buffett—who is the third-richest man in the world, and CEO of Berkshire Hathaway, the fourth most-valuable company in America, used no punctuation and had an unnecessary “the” in his header (which I realized, upon further inspection, was addressed to “the all the young people”). Whatever, this advice is so on-point, I thought. 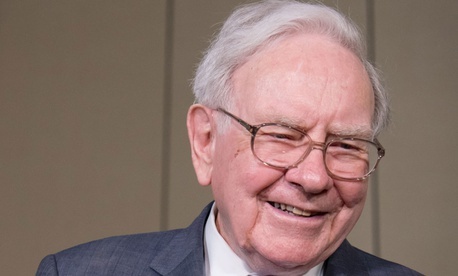 Strange that Buffett, the so-called Oracle of Omaha famous for his frugality and his preference for simplicity in life and in his investments, would spell his name with only one “t” instead of two. But it was too late. Before I could even notice this final tip-off that something was amiss, I already had clicked retweet and directly shared Buffett’s (Buffet’s?) list with colleagues and several close friends. The advice, it turns out, was from the now-suspended Twitter account @warrenbuffet99, which by now has close to a quarter-million followers. The real Warren Buffett’s account is @WarrenBuffett, which has 1.43 million followers, is verified by Twitter, and has not yet issued a comment on the fake account. Embarrassed, I immediately messaged my team: “I’m an idiot, this isn’t the real Warren Buffett! Disregard!” I then undid my retweet, alerted my friends, and slumped into my now significantly less-inspired young person’s swivel chair. Thousands more have liked and shared @warrenbuffet99’s subsequent tweets, advising the world to distance themselves from “gossipers” and “blamers,” to help and thank people daily, to tell your team you’re proud of them, ignore people who criticize you, and to eat less sugar and meat. Cliche as fake-Buffett’s career advice is, it hits a nerve because it’s simple, actionable, and fundamentally hopeful. And sad as it may be, many of us need to hear these messages because we perhaps struggleto believe in ourselves or our potential, and we hesitate to ask for help. Putting aside all this fraudulence, and Twitter’s apparent ambivalence about Buffett’s viral imposter, we shouldn’t have to apologize for seeking out mentorship wherever we might find it. Regardless of who wrote this advice—urging us to be humble, to love openly, and to question our convictions actively—we’d be smart to follow it.